‘The Asian Collections: Art Gallery of New South Wales’. pg.172. Signed and dated c.r to l.r., in Chinese, inscribed in black ink, 'the Autumn of the year of Guimao (1963)…Zhu Qizhan…"
Signed l.r., in Chinese, stamped in red ink “Zhu Qizhan[artist's seal]". Signed l.r. (lower), in Chinese, stamped in red ink "Zhu Qizhan [artist's seal]". 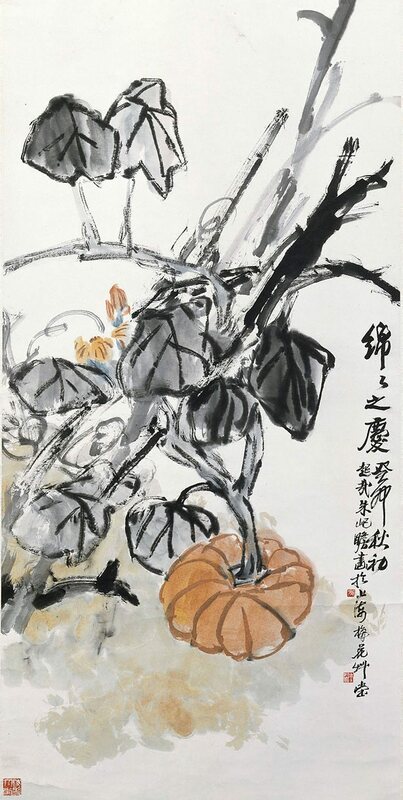 The Asian Collections Art Gallery of New South Wales , 'The Shanghai School and Modern Painting', Sydney, 2003, 172 (colour illus. ).